We don't always make a big fuss out of smaller changes to Commusoft. After all, we are updating the app usually every week - sometimes with major new updates like shift patterns, automated supplier invoice import, or a new iOS app. However, there are also regular minor improvements and tweaks to tools within Commusoft, so we want to make sure you hear about those too. Without further ado, here are five recent changes that you may find useful. Did you see our previous update collections? for companies with many engineers. We have updated this limitation and are happy to say that you can now view an unlimited number of engineers at once. This ensures that you have oversight of your whole team when you need it. Please note, this only applies to the real-time view. When using the between two times feature, you can still only view one user at a time. Not yet tracking your vehicles in Commusoft? We've updated the way in which the diary map view is encoded. This results in significant improvements to visual quality and responsiveness. On the visual side of things, you should see that the map is sharper (roads and text appear more crisp) and you can also zoom in further, displaying greater levels of detail. In regards to responsiveness, the maps should load faster and scroll in and out more smoothly when navigating the map. Of course, a poor internet connection or low quality hardware may still result in slow loading maps. 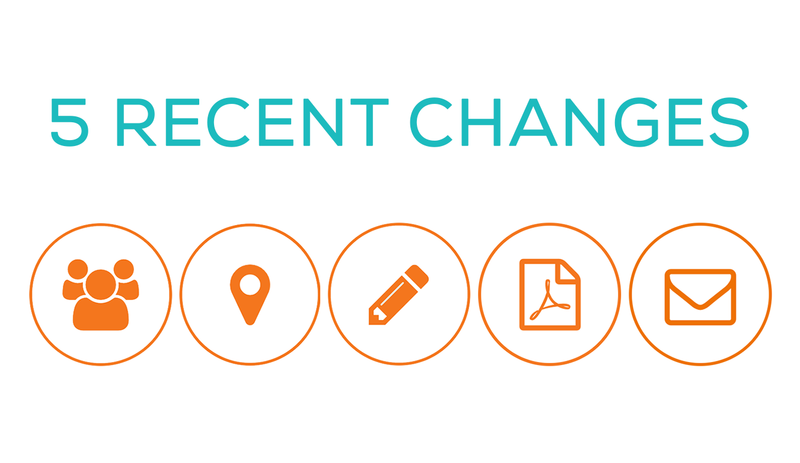 If you spend a lot of time on the map, planning jobs or seeing where you engineers are, we hope you find this change improves your day-to-day experience. Check out the difference in this GIF. For those using our QuickBooks Online integration, you may have found that longer customer names were not accepted or able to be sent over to QuickBooks. We've managed to rework the way we handle name fields for QuickBooks Online, allowing for a higher number of characters to be used. There is still a character limit, however, this is now 88 characters... meaning that your customer Lady Catharine Montague Brompton Carlisle III is only half way to the limit - how spiffing! We've made a minor update to the formatting of the Domestic Gas Safety Certificate (CP12) PDF. We understand that the completed certificate would sometimes spill over onto a second page, with the additional page only containing a couple lines of text. By adjusting the width of the columns and tweaking the layout slightly we've reduced the likelihood of this happening. Whilst we are aiming to reduce this occurrence, it cannot always be prevented. In situations where a certificate contains long answers or long customer addresses, the PDF may still require 2 pages. Thanks to Brennan and Son Plumbing & Heating Ltd for asking us about this. 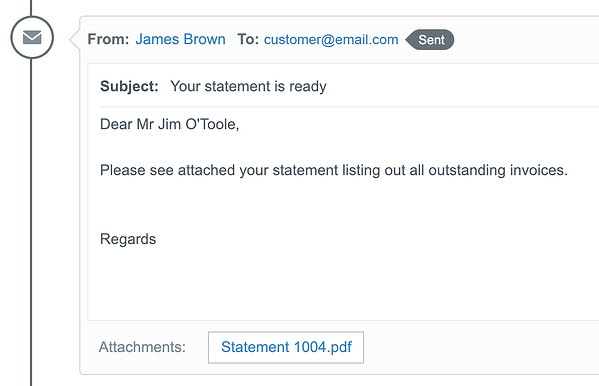 If you weren't aware, you can send a statement to your customers, listing each of their unpaid invoices. This is a great way to remind slow paying customers or to simply provide a clear list of what is owed. You can send this PDF by email direct to the customer or print it out yourself. Previously, when you emailed a customer statement, a record of this communication would not display in the 'Notes and communications' tab. We've changed this, so you can now see whenever a customer statement has been emailed or printed. We'll also include a link to the PDF statement, so you can view exactly what was sent. Thanks to SJK Plumbing & Heating Ltd for suggesting this change!